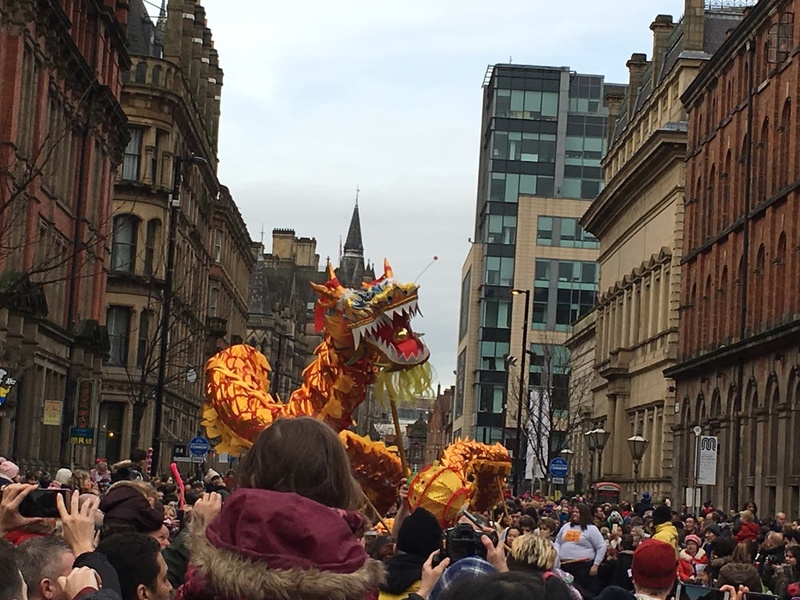 The Chinese New Year Celebrations in Manchester were a four day affair this year culminating in a large parade stretching from the town hall all the way through the China Town district. After arriving into town relatively late in the day, I headed over to China Town where I took in the sights and smells of the street market, before going to watch the main parade. 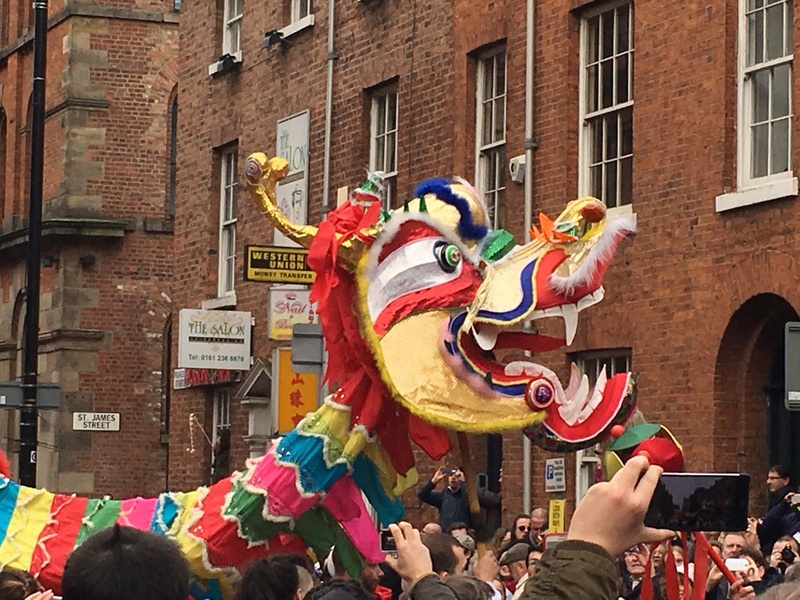 With the event being quite popular, getting close to the parade route was difficult, but not impossible and I got to watch a couple of the highlights including the multiple Chinese Dragons dancing their way down the street, going back and forth entertaining the crowds. 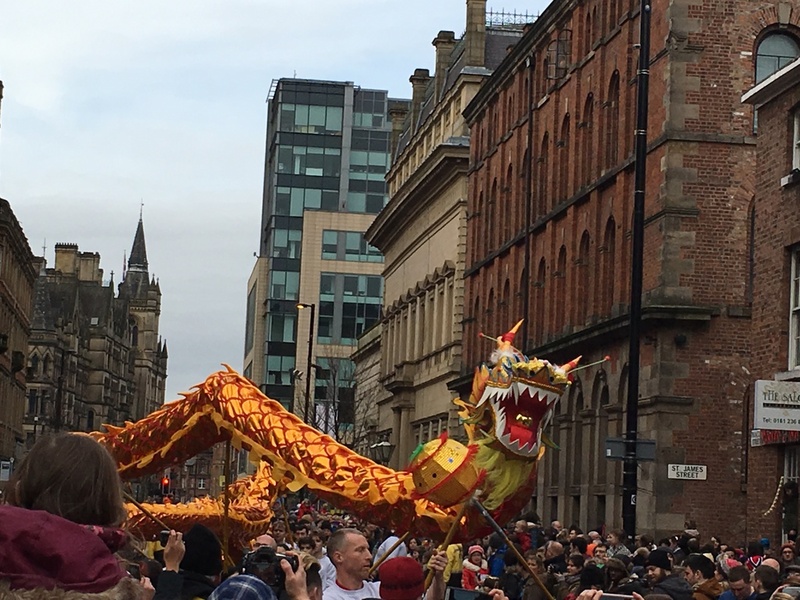 After this, a bit of wandering ensued to escape the crowds for a bit and to have a chance to wander the town hall square to see what other things they had on there. 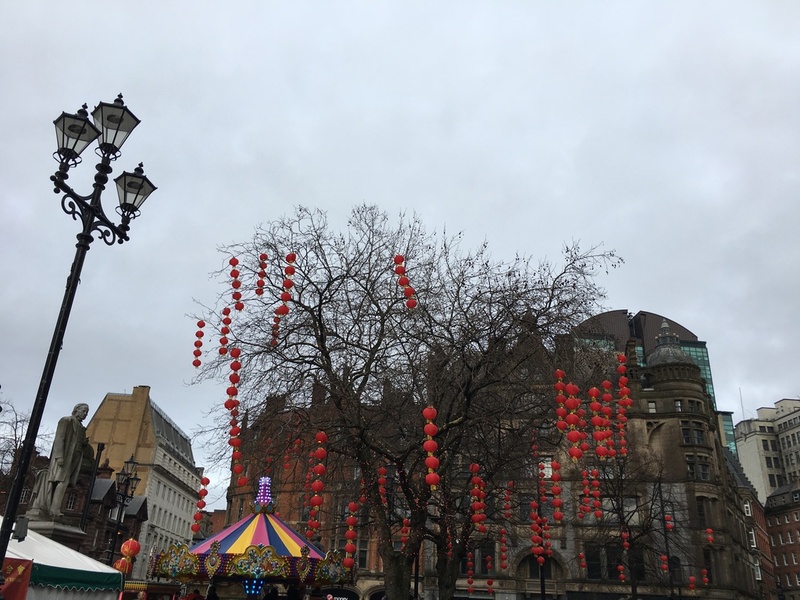 After that, I quickly headed back over to China Town to watch the setting off the firecrackers to ward off bad luck for another year, and boy they were loud this year. 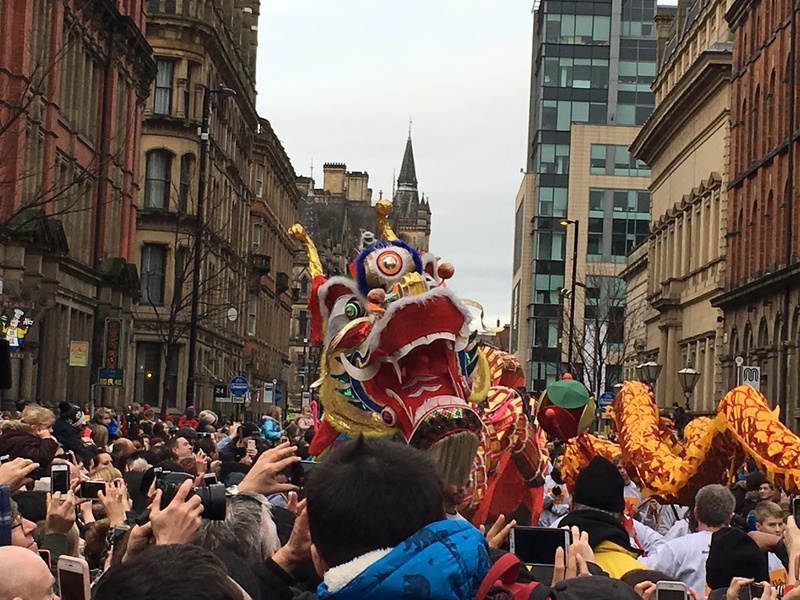 Finally after that, had a quick look around exchange square to see the Lanterns of the Terracotta Warriors.